Partake in Winter Wonder Island festivities around Galveston’s Historic Downtown district through Saturday, January 12, 2019. During the holidays, downtown Galveston transforms into an celebration of all things jolly, blending historic beauty with modern Christmas cheer. It offers holiday-goers a chance to cross off lists in the historic shopping district amid bright holiday lights, squeeze in a cocktail break at a popular pop-up bar, and take advantage of an abundance of opportunities to celebrate the season. In addition to the daily seasonal fun and attractions, December and early January are filled with special seasonal pop-ups and events. From December through January 2019, Downtown Galveston features a slate of ongoing events to help holiday-goers get in the spirit of the season. Miracle Pop-Up Holiday Bar at Daquiri Time Out | Through Sunday, December 30 – Launched in New York City in 2014, Miracle is the beloved Christmas-themed pop-up bar phenomenon that has grown to include over 80 worldwide locations, including a stop this year at Galveston’s Daquiri Time Out. Enjoy special cocktails like the Kris Kringle Colada and Hawaiian Milk Punch. Open daily from 4pm to 2am. Lanterns, Lights, and Shopping in Galveston’s Historic Downtown District | Through Tuesday, January 1 – Glittering with lights and decor across this charming 36-block district, historic downtown Galveston is criss-crossed by strands of lights and other holiday attractions in Saengerfest Park and beyond. In addition to an interactive photo frame and giant snow globe, visitors will find a bevy of uncommon holiday gifts across the district’s many unique boutiques, shops, and galleries. 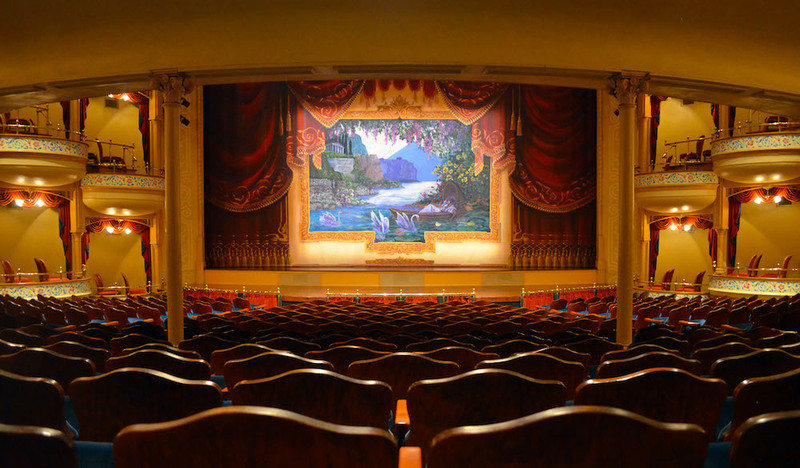 Holiday Performances at The Grand 1894 Opera House | Through Saturday, January 12 – The historic Opera House hosts a spectacular slate of music, plays, and performances all season long. Don’t miss your chance to catch Asleep at the Wheel’s Christmas celebration, Charles Dickens’ A Christmas Carol, a special jazz performance with Wynton Marsalis, A Charlie Brown Christmas Live on Stage, and more. Ticket prices and times vary. Clear your calendar for these events taking place on select dates throughout the holiday season. Holiday Delights at The Bryan Museum in Galveston | Sunday, December 9 | FREE – Meet Santa Claus, enjoy live holiday music, a reading of Clement Clark Moore’s “The Night Before Christmas”, decorate cookies, and explore the beautifully impressive Bryan Museum. 10am to 5pm. Santa Train at the Galveston Railroad Museum | Saturday, December 15 – Cheer on the arrival of Santa Claus as he rides the rail into the Galveston Railroad Museum. Meet Mr. Claus, snap a photo with him, and board the Harborside Express for a special train ride. Tickets are $12, free for children 12 and under. Tickets for the train ride are $5. 10am to 2pm. Santa Hustle 5k & Half Marathon | Sunday, December 16 – Race a 5K or half marathon through Galveston while dressed up as old St. Nick—no need to purchase a costume; you’ll get a beard, hat, and performance hoodie with registration, and can upgrade to receive candy cane socks, a red tutu, arm warmers, and face tattoos for an additional fee. Enjoy cookies, candy canes, and holiday tunes all along the way, then stick around for an after-party. Tickets start at $44.75. 7am. All across Galveston Island, the holiday season is lighting up the city with events that celebrate the winter festivities through early January of next year. For three months, Galveston becomes Winter Wonder Island as it plays host to special lighting events, ice sculpture exhibitions, and performances that delight, excite, and spread the holiday spirit. Click here for more information on this year’s highlights at Winter Wonder Island. This story was sponsored by Galveston Convention & Visitors Bureau. Per our advertising policy, we only accept sponsored content from businesses that meet our editorial standards and truly present a valuable activity, resource, or destination for Houstonians and Houston visitors. Click here to learn about promoting your event, product or business.